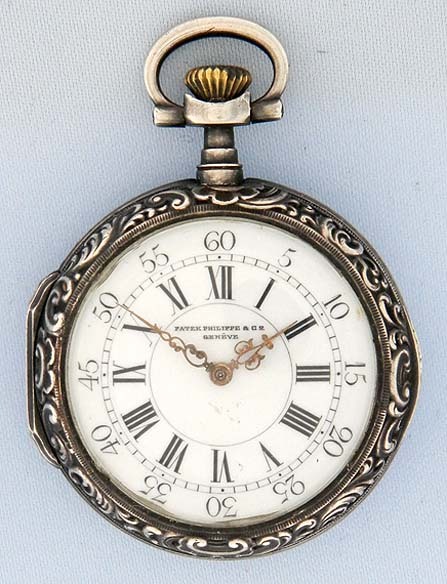 Fine silver Patek Philippe repoussé ladies antique pendant watch circa 1888. 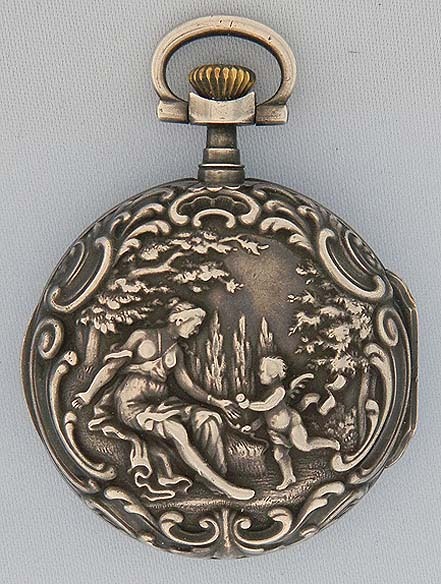 The back with a maiden and cherub in a landscape within scrolling borders. White enamel dial with fancy gold hands. 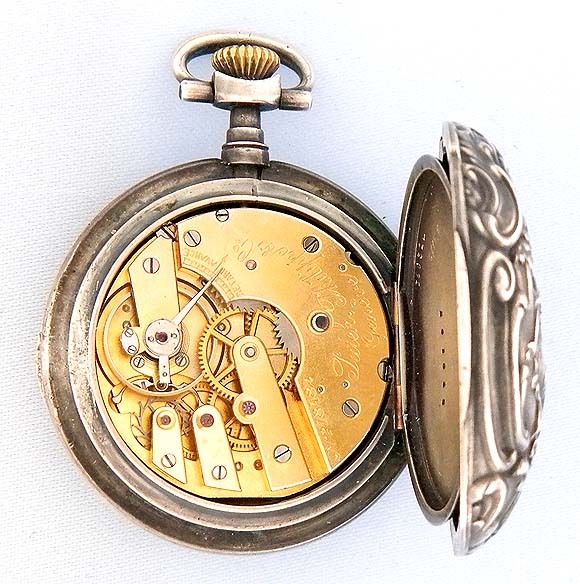 Gilt 15 jewel movement with wolfs tooth winding and counterpoised moustache pallet. 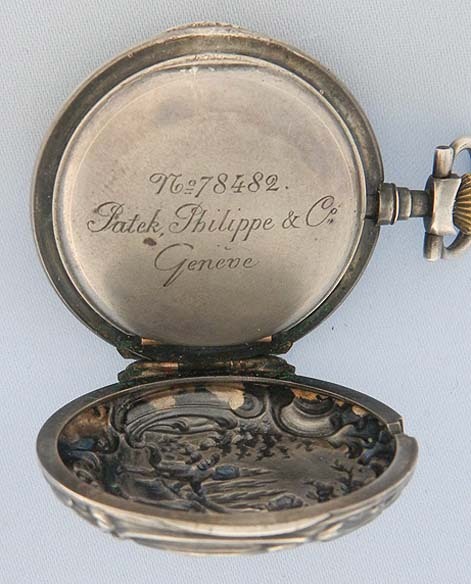 Signed Patek Philippe on the case, dial and movement.